Learn more about how you can ship a car to Turkey, as well as some of the characteristics regarding Turkey's culture and landscape. The Republic of Turkey has the somewhat unique distinction of being located in both Europe and Asia. Part of Turkey straddles regions of southeastern Europe while parts of it lies in Western Asia. Turkey shares its borders with as many as eight European and Asian nations including Greece and Bulgaria to the west and northwest, Armenia and Iran to the east and Iraq and Syria to the southeast. The country’s location has made it a strategic ally to the United States and other western nations including Great Britain. Turkey is a member of the North Atlantic Treaty Organization (NATO) and the Council of Europe. However, it has failed so far in its long-standing effort to be accepted as a member of the European Union. Turkey is one of the oldest continuously populated countries on earth. The country’s traditions, music and art reflect a lot of its ethnic diversity. Though Turkey is predominantly an Asian nation, its culture is heavily tinged by western influences. The country’s architecture too reflects a unique blend of Asian and western styles. In major cities like Istanbul and Ankara, ancient Ottoman era buildings coexist tranquilly with modern skyscrapers and sleek glass-fronted office buildings. From an economic standpoint, Turkey is considered a developing economy. The country has the world’s 15th largest economy by Gross Domestic Products and purchasing power parity. It is a full member of the influential G-20 group of major economic powers in the world. The country’s capital city is Ankara. But the city of Istanbul is the most populated metropolis in Turkey and also the country’s financial hub. Thousands of people travel between the United States and Turkey each year on work, study, business and tourism. Many of them use Turkey international shipping companies for shipping a car from Turkey to the United States or for shipping a car to Turkey from the U.S. Auto transportation companies offer container shipping services and Roll on Roll off shipping service from major ports around the United States to major cities in Turkey such as Ankara, Istanbul, Mersin, Izmir and Bursa. 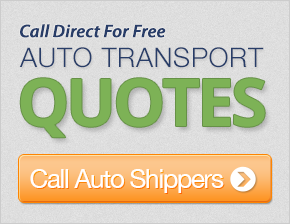 Most companies offer door-to-door shipping services as well as door-to-port and port-to-port services. Typically, container shipping to Turkey costs more than RoRo shipping to the country. Almost all shipping companies allow customers to transport household goods and personal belongings in the same container as the car. Many shippers also give customers the option of sharing a container with other customers if they have only a few items t ship. The cost of international shipping to Turkey in a 20-foot container ranges from $1,600 to $2,500 depending on city of origin and destination and type of vehicle being shipped. RoRo shipping rates are often cheaper by about $200 to $300. For an additional cost, many shipping companies also help customers clear their vehicles through customs and other import formalities in Turkey. Shipping companies typically take between 14 days and 16 days for port-to-port container delivery between the United States and Turkey.